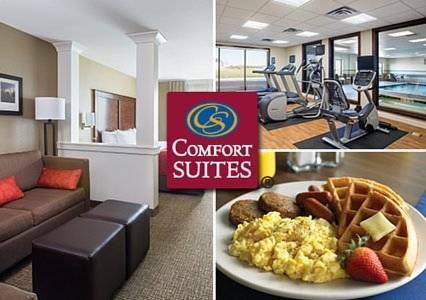 The Comfort Suites hotel in Uniontown, PA is located off US Route 119 in the scenic Laurel Highlands. Our hotel is the perfect selection for corporate and leisure travelers alike. Start your day with a free hot breakfast then plan the your activities with the free high-speed Internet access throughout the hotel. Our hotel is surrounded by some of the most beautiful scenery in Pennsylvania. Come stay with us and see what makes us stand out among hotels in Uniontown.